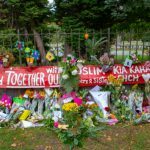 As an Anglo-Australian man stormed into the Al Noor Mosque on Deans Avenue in Christchurch last Friday afternoon, Haji-Daoud Nabi greeted his assailant at the door with the words, “Hello, brother. Welcome”. And for this the 71-year-old Afghan man lost his life. It would be easy to say that the 28-year-old man disgraced Australia, however the truth is the killer is a product of a nation that was built on the violence and slavery perpetrated upon the continent’s First Nations peoples by whites. Successive Australian governments have passed over 70 pieces of terrorism-related legislation since the time of 9/11. But, none of these laws served to prevent a white Australian man making his way over to a foreign country to gun down 50 random strangers who had gathered to pray. 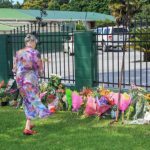 The white male-dominated Australian government has been deporting thousands of New Zealanders over the last half decade under the pretext of improving security, yet this measure did nothing to protect the dead from the Australian man. And this guy was so misguided that he went as far as to live stream his killing spree on Facebook like he was some kind of hero, while all he served to prove was just how obscene the most extreme face of right-wing Aussie fascism has become. 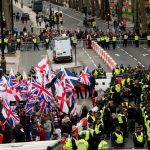 Prior to the senseless attacks upon two mosques, the perpetrator posted a link to his 74 page manifesto called the Great Replacement, in which he writes that he gunned down his fellow human beings because there’s a “white genocide” occurring as a result of immigration to nation’s like Australia. 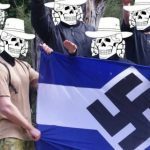 In the document, the “regular white man” states that he carried out the attacks to “show all invaders that our lands will never be their lands”. And further he asserts that, “as long as a white man still lives, they will never conquer our lands and they will never replace our people”. This logic is coming from a man of “Scottish, Irish and English stock”, who grew up in the NSW town of Grafton on the lands of the Bundjalung and Gumbaynggirr peoples. A region that Europeans began to take control of in the 1830s. And further, this man carried out these heinous acts in Christchurch on the lands of the Ngāi Tahu peoples. This is an area that was never traditionally inhabited by the people of his “stock”. In fact, Anglos never moved into that region until 1840s. Though, there have always been white men like him around in the Australian suburbs spouting paranoid racist rhetoric and claiming they’re “reclaiming” a land that was actually stolen from First Nations peoples. For some examples just look at footage of the 2005 Cronulla Riots. But, the Christchurch massacre does represent a new level of homegrown far-right terrorism. And it’s been lost on no one that certain politicians have blood on their hands, as their xenophobic politicking has been fuelling the fire of Islamophobia over recent years. Long-time inciter of hate Pauline Hanson is the epitome of a politician who has long made her career on discriminating against people of colour. In her 2016 maiden speech in the Senate she warned that the country is being swamped by Muslims. But, it’s not just the extremist politicians that are sullying the political climate. Last October, all Liberal and Nationals senators “accidentally” voted in support of a Hanson-introduced motion that declared “it’s OK to be white”, which is a well-known white supremacist slogan. Indeed, this man is the product of a nation with a prime minister who in 2011 suggested to the shadow cabinet that it should capitalise on the growing concerns over Muslim immigration and focus on the idea that people of the Islamic faith have an inability integrate properly. There would be few in the community who didn’t feel chills as they read the press release that Fraser Anning put out within hours of the brutal attacks. In it, he callously tries to blame the incident on the victims, stating that Muslim immigration is at fault. This is the man that in his maiden speech in the Senate last year suggested in Nazi rhetoric that there needed to be a “final solution” to the Muslim “immigration problem”. And since then he’s been seen attending a rally with the likes of far-right poster boy Blair Cottrell. 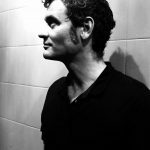 And it seems there’s something terribly broken in the Australian political system when a man who only 19 people voted for in the last election has been elevated to a position where he has the power to make such widespread offensive comments when the majority were still in shock and mourning. Parts of the Australian mainstream media have long been charged with stoking anti-Muslim sentiments. And this can be seen in the reverse with some of the reports relating to the Christchurch massacre. An ABC article explores the terrorist’s past, when he used to work as a personal trainer. It has his former manager discussing what a dedicated and passionate worker he was. And that there was no way she could imagine that he could carry out a cold-blooded massacre. The article also features a photo of the man when he was a boy with “a curly mop of hair” in his father’s hands, who died of cancer at an early age. It’s hard to imagine an article about a Muslim terrorist that described their childhood and working career using such generous language. But, if this man’s abhorrent actions have made anything clear it’s that the idea that terrorist acts are somehow linked to one particular creed of people is a complete myth. And the Australian social system does breed terrorists just like societies elsewhere around the globe. And if the insidious racial politicking that’s been front and centre of so many national debates continues, one thing’s that’s for sure is this man won’t be the only right-wing Aussie bloke to take the lives of others under the delusional belief that they’re making some bold statement. 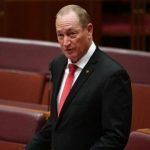 An online petition calling for Fraser Anning to be thrown out of parliament is currently doing the rounds of the internet. It already has 1.3 million signatures.